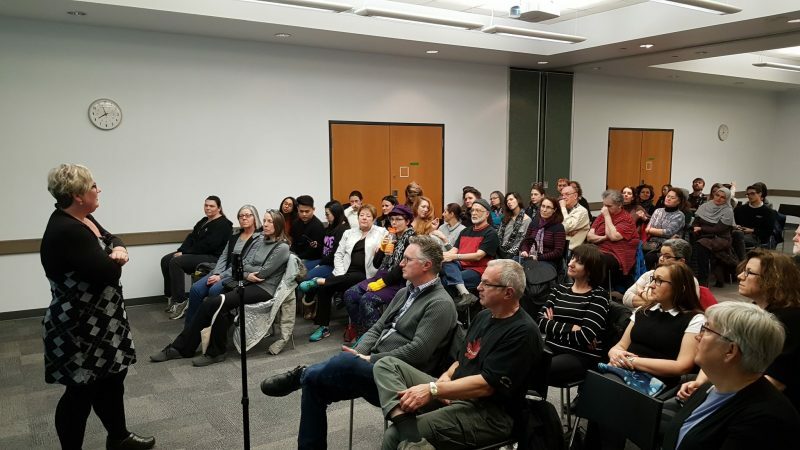 This month the Institute’s annual public lecture series, prepared in partnership with the London Public Library and Western’s department of philosophy, began. This year’s series, Happiness and Well-Being: Philosophical Perspectives, has been exceptionally successful. 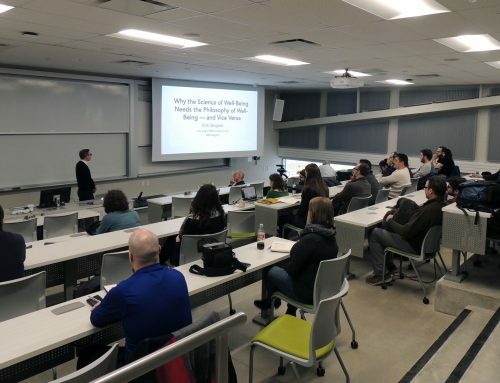 Talks by Samantha Brennan, Anthony Skelton, and Rachel Margolis all took place in January. The final talk of the series, by Erik Angner, will take place in early February. This semester will be a busy term at the Institute & we look forward to more exciting talks and events! A book review by Rotman alumnus Yann Benétreau-Dupin, titled Revisiting Model-Based Learning, was just published in Science & Education, December 2018 , Volume 27, Issue 9–10, pp 1033–1037. 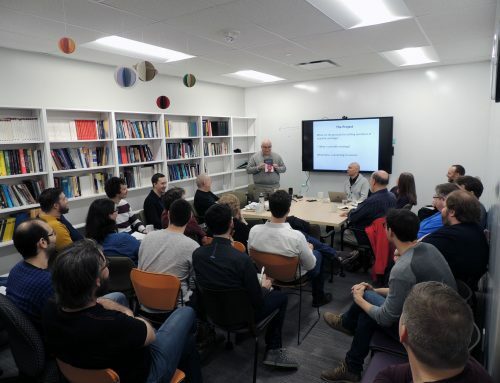 Jon Bowen will present a talk, titled “Non-Instrumental Reasons for (and Against) Creating Artificial Persons”, at the Canada-United Kingdom Symposium On Ethics In Artificial Intelligence (EIAI-2019), to be held in Ottawa on Feb. 21-22. The two-day symposium will bring together people and organizations involved in establishing ethical artificial intelligence (AI) in Canada and the United Kingdom. This includes, but is not limited to researchers, policy makers, human rights advocates, funding agencies, companies, educational institutions, and law enforcement. See full details about the event here. Rotman alumnus Andrew Chater has a new publication forthcoming: Chater, Andrew. “Change and Continuity Among the Priorities of the Arctic Council Permanent Participants.” In Leadership for the North, edited by Douglas Nord. New York: Spring Nature, February 2019. 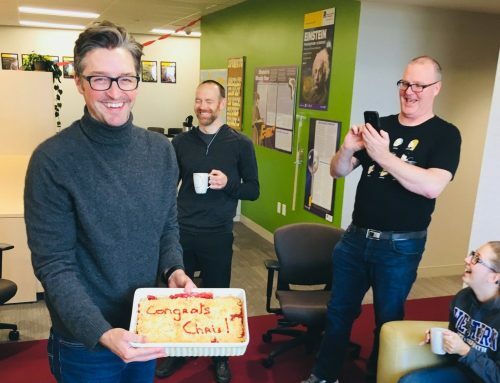 Andrew Chater’s term as the 2018-2019 Chair in Arctic Studies at the University of Washington will run from February – June 2019. Michael Cuffaro is co-organising the Western Ontario Workshop on Computation in Scientific Theory and Practice, to be held May 31 – June 2, at the Munich Center for Mathematical Philosophy (MCMP), LMU Munich, Germany. The call for submissions is open until March 17, 2019. The Ethics of Pragmatic Trials research team’s publication—Goldstein CE, Giraudeau B, Weijer C, Taljaard M. When and how should we cluster and cross over: methodological and ethical issues—was one of the top 10 downloaded papers in the Canadian Journal of Anesthesia in 2018. In 2018, the journal had over 1.2 million downloads, and a growing Impact Factor that was 3.4 in 2017. Cory Goldstein gave an invited guest lecture, entitled “Research ethics and randomized controlled trials,” for Merrick Zwarenstein’s course, Epidemiology 9566A – Randomized Trial: Design, on January 30. Marie Gueguen gave a talk, entitled “Easier said than unsaid: Artéfacts en Théories Quantiques” (Easier said than unsaid: Artifacts in Quantum Theories) at the Philosophy Department of the Université de Rennes 1, on January, 15th 2019. 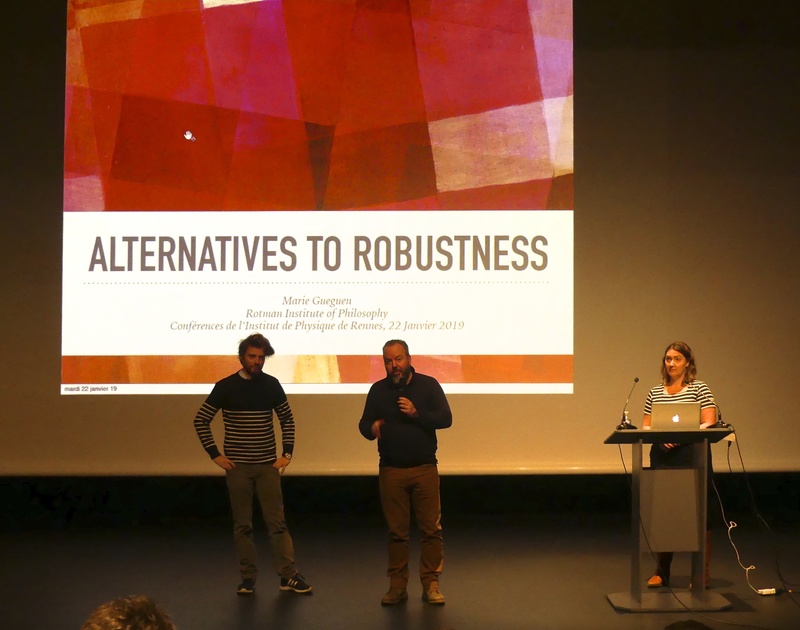 Marie Gueguen was invited to give a talk at the Institut de Physique de Rennes 1 on January, 22th 2019. 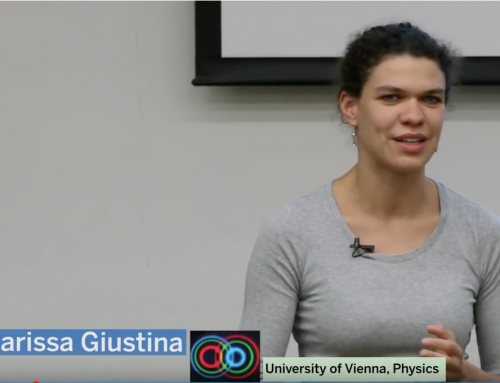 Her talk was entitled “Analyse de robustesse et fiabilité des simulations numériques en cosmologie” (Alternatives to Robustness). 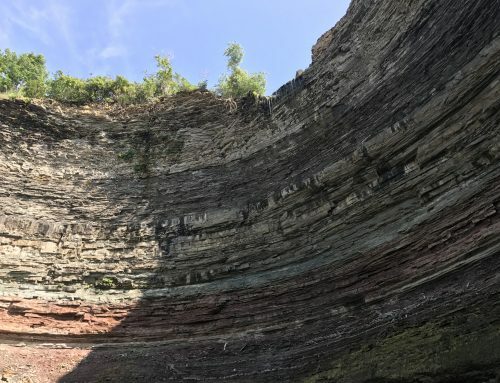 A new paper by Rotman alumna Melissa Jacquart was just published: “The Dark Galaxy Hypothesis“, Philosophy of Science 85, no. 5 (December 2018): 1204-1215. Rotman alumna Catherine Stinson wrote an article about consent for bodily harm in contact sports that was published in Chatelaine, Why I Love Playing A Violent Contact Sport. 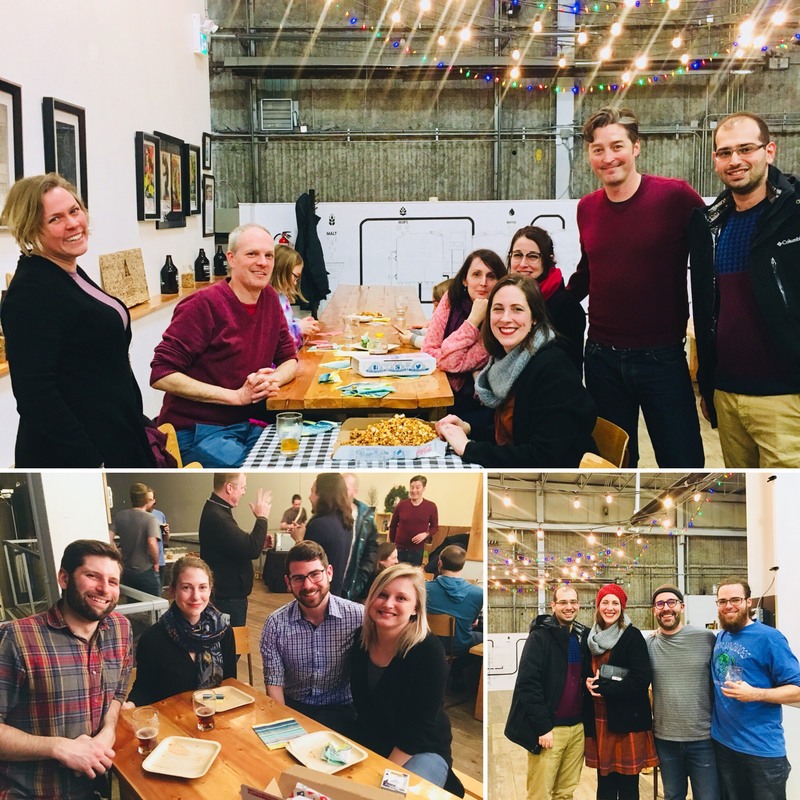 Pictured above: Samantha Brennan presents the first talk of the public library lecture series, “Five Questions about Women and Well-Being”; Marie Gueguen presents “Alternatives to Robustness” at the Institut de Physique de Rennes; Institute members enjoy a start of term party in January 2019.